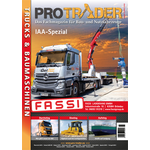 ProTrader magazine will offer you not only an authentic media alternative concerning the marketing of moveable assets but also a podium related to a specific field. 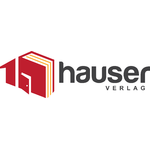 With a Europe-wide edition of 30.000 copies issued on a four-weekly basis we are specifically approaching the decision makers among the field of construction machines, cranes, lift trucks, heavy duty commercial vehicles, construction and construction machinery and construction materials. We are looking for new Partner and also innovativ business opportunities to create with our Partner.